Video doorbells are a pretty nifty addition to any home – you can see who is stood on the porch ringing your bell before you even get up from the sofa. And if you're away from home, you can respond to friends, neighbours and couriers using the microphone on your smartphone. If you're interested in picking up a smart doorbell, you're in luck! Amazon has slashed the price of the Ring Video Doorbell 2, which comes bundled with the Chime notification accessory. The pair will have previously cost £208, before dropping to £178 now costs £159. Find the full details of the deal below. Here at T3, we're really big fans of the team at Ring and have consistently rated their products highly since we awarded the original Video Doorbell with our prestigious 2016 T3 Awards' Editors' Choice award. 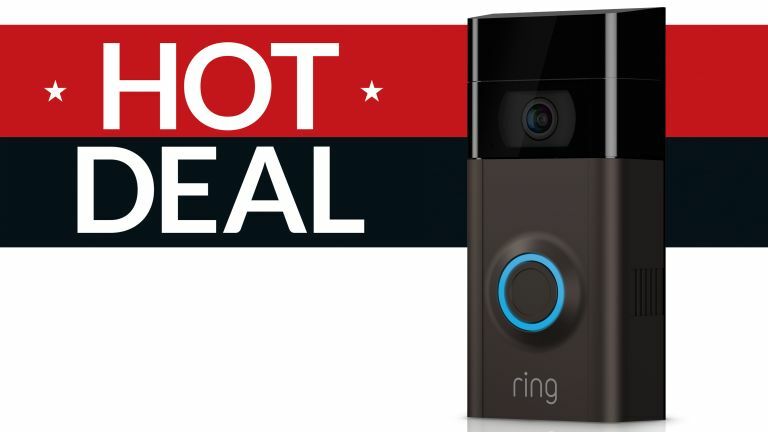 The second-generation Ring Video Doorbell – the latest version of the hardware – is even better than the original. It allows you to watch over your home in stunning 1080p HD and, at night, with infrared night vision. At this price, the bundle is a steal.